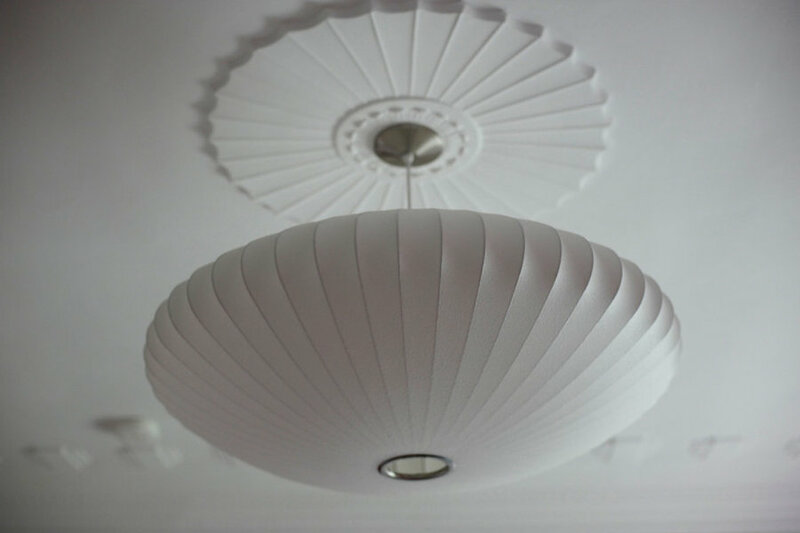 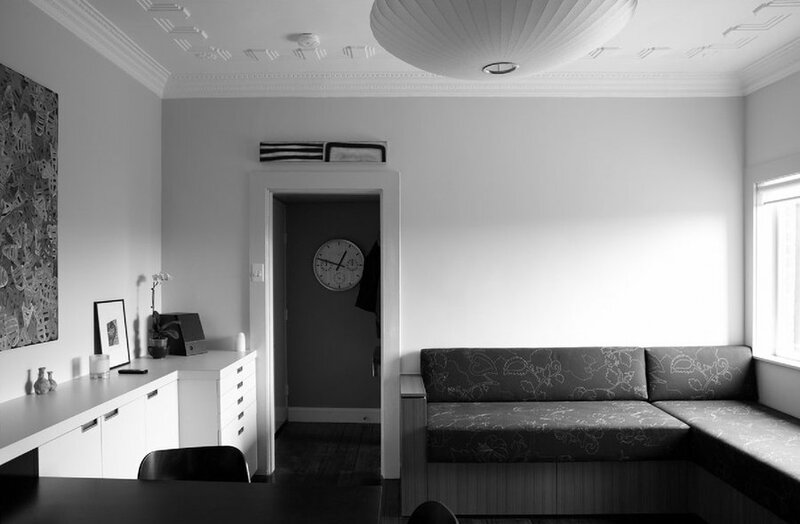 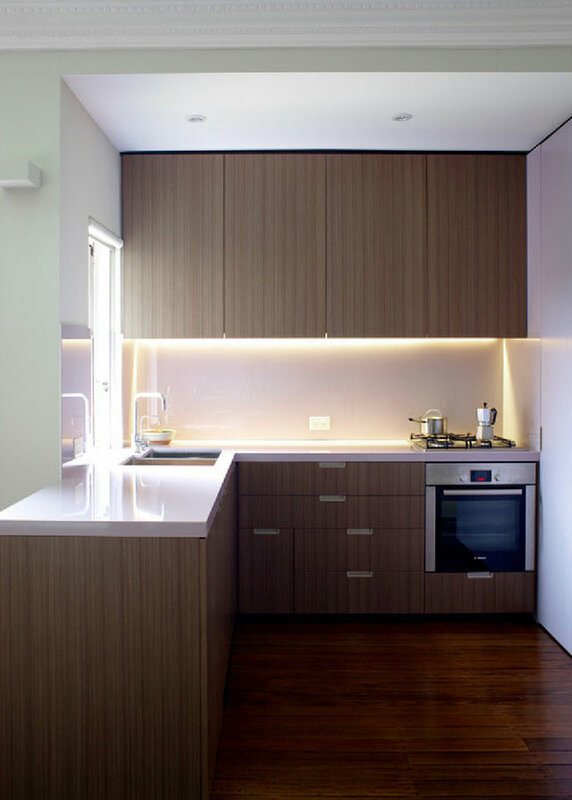 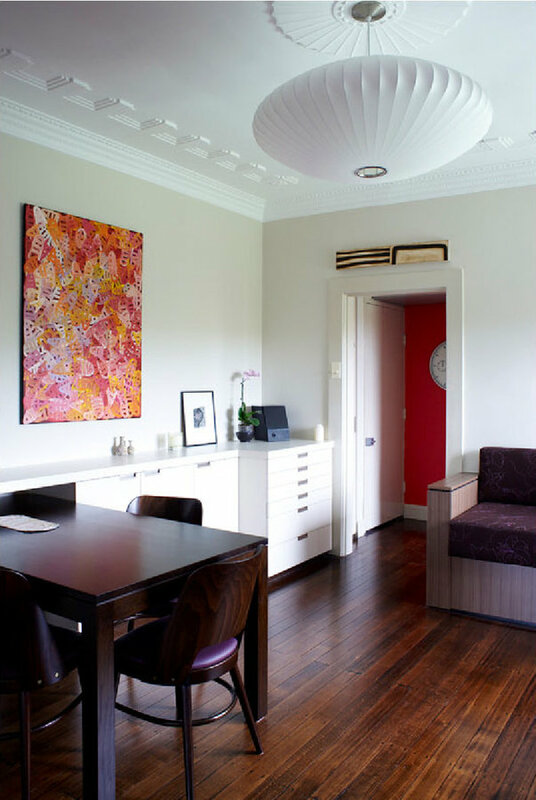 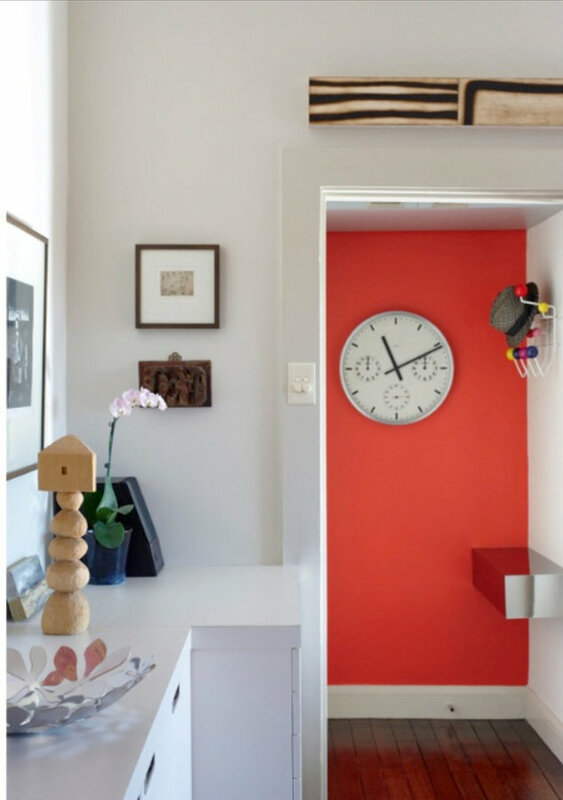 Refurbishment of a compact 48 sq metre two bedroom, kitchen, living/dining and bathroom in a North facing top floor Art Deco apartment overlooking Rushcutters Bay. 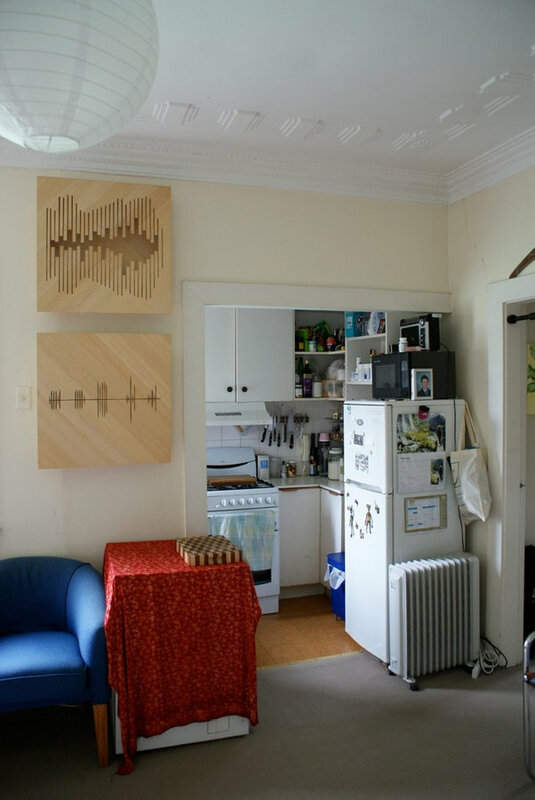 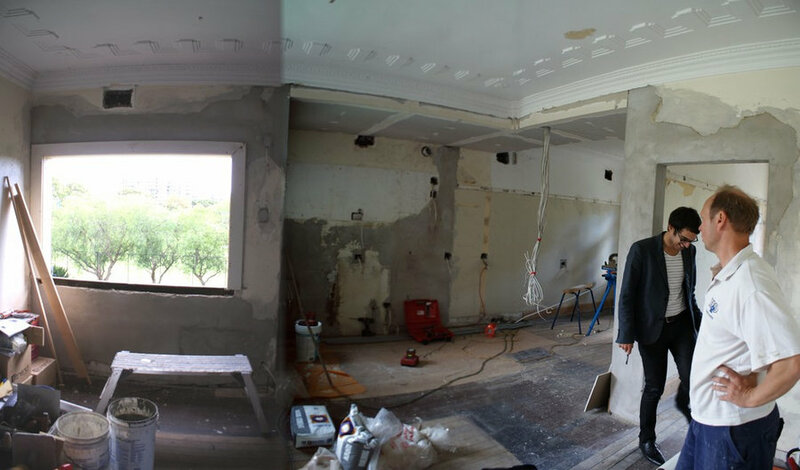 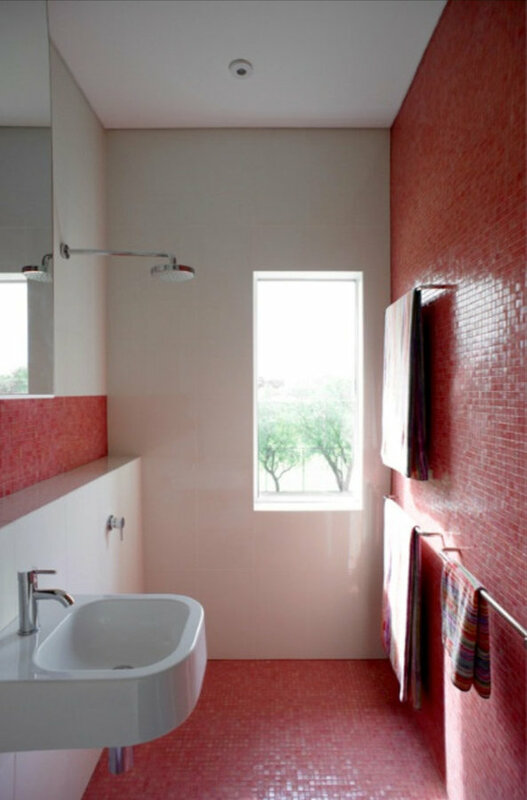 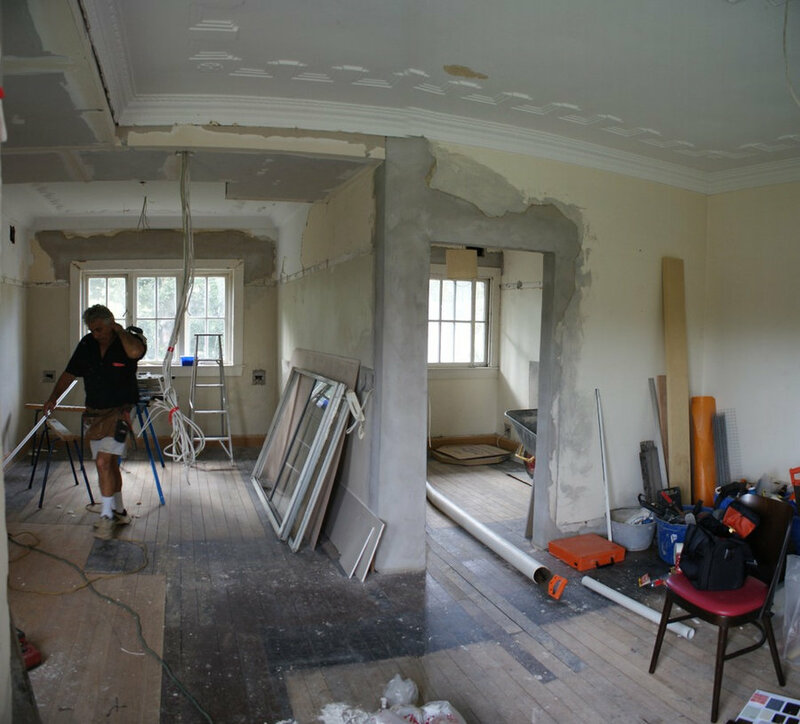 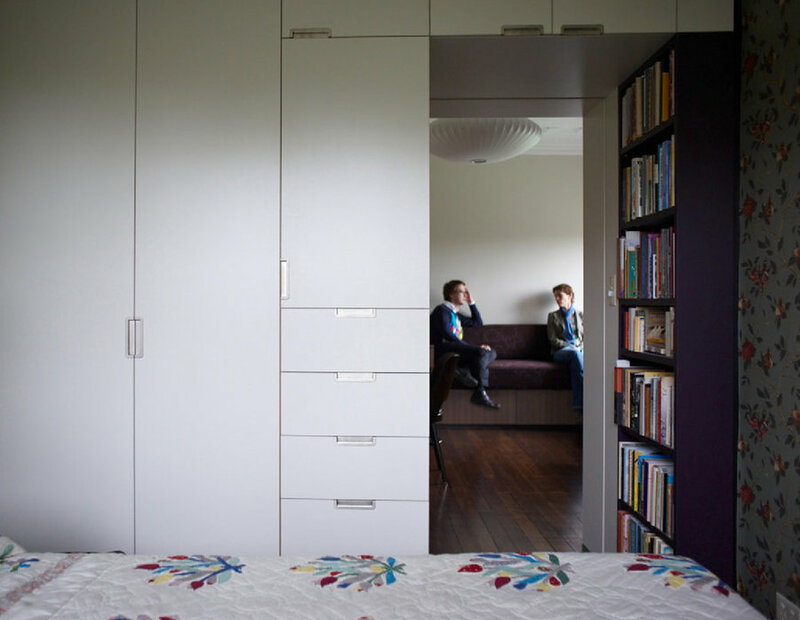 The apartment was totally gutted, walls removed and joinery inserted to define rooms. 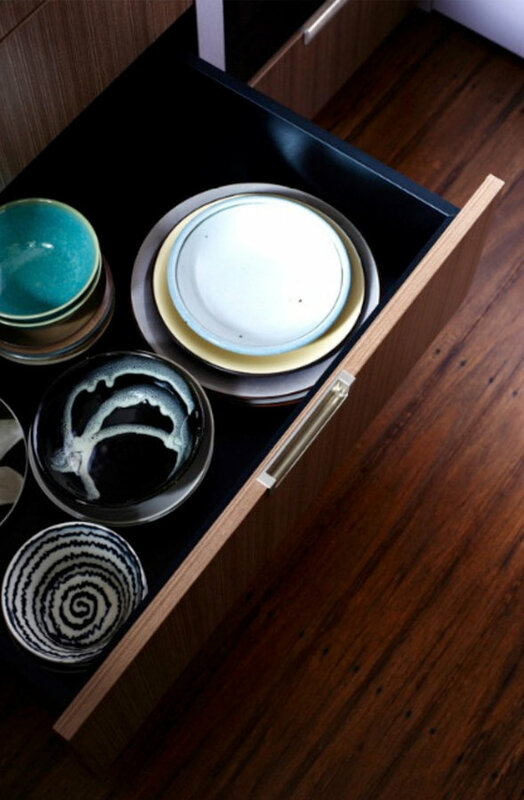 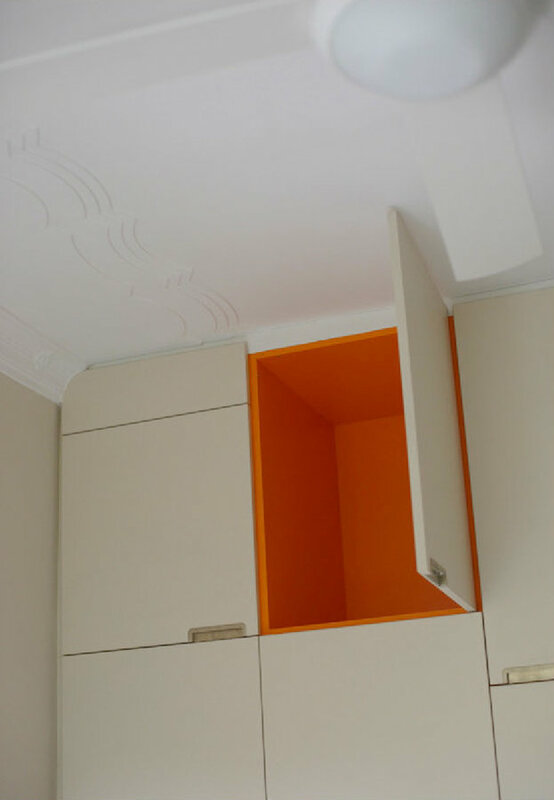 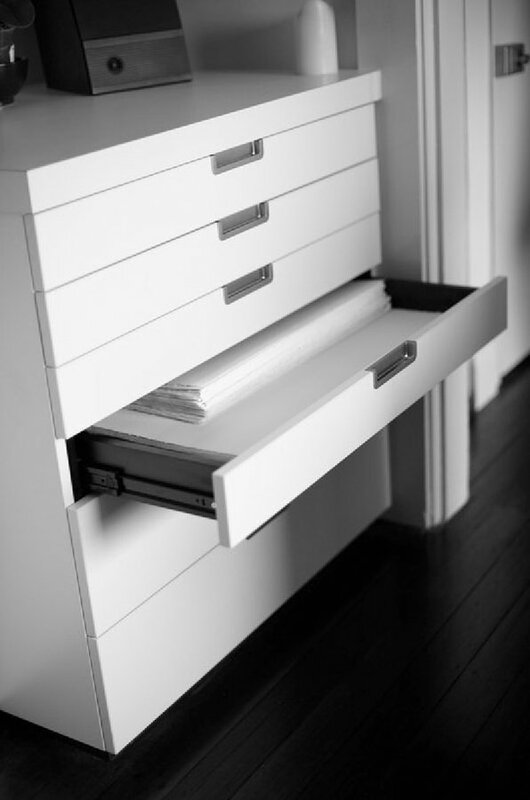 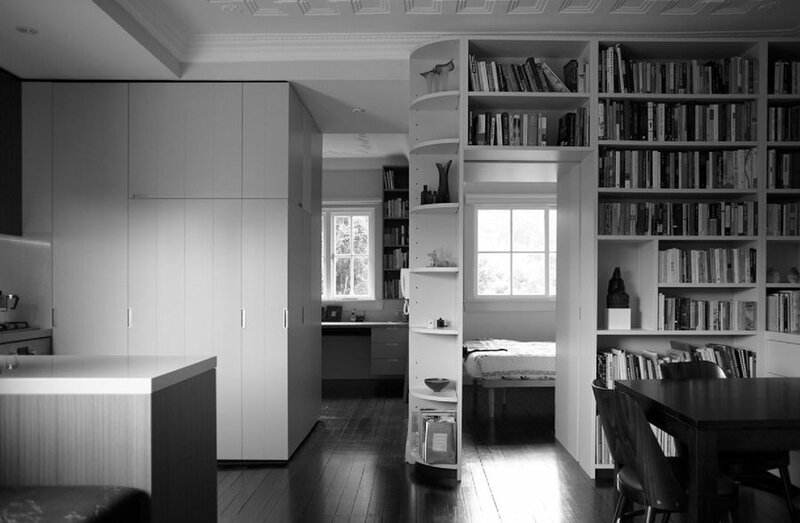 Every item of bespoke joinery formed a crucial function to eliminate visual clutter. 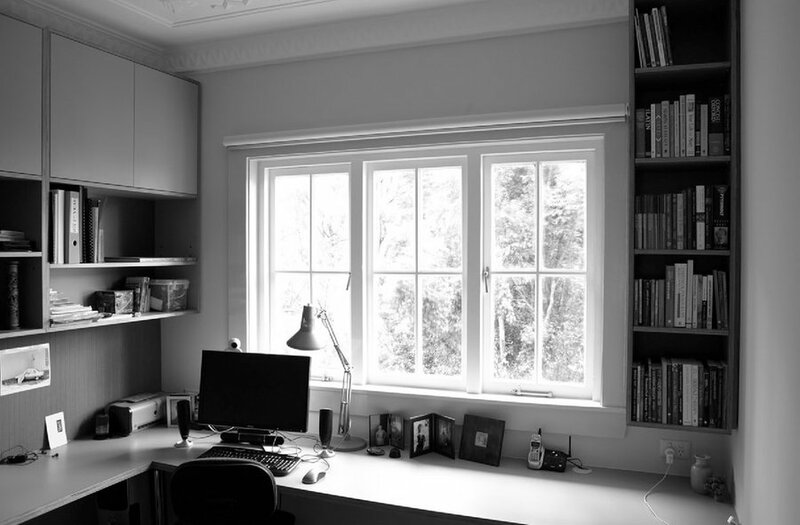 Artwork and books were the main focus. 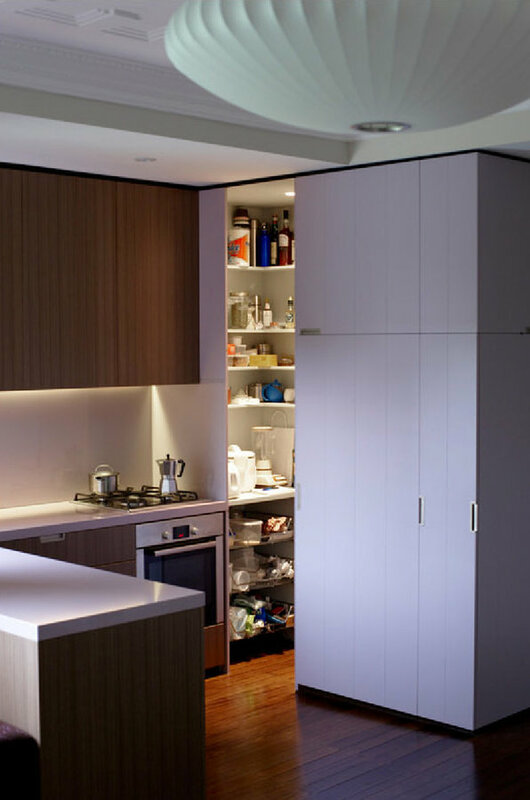 A magicians box was inserted that defined the kitchen and formed a multi-functional role with concealed storage on all three sides i.e: Walk-in pantry, integrated appliances, pull-put pantry, storage, lightbox and wardrobe. 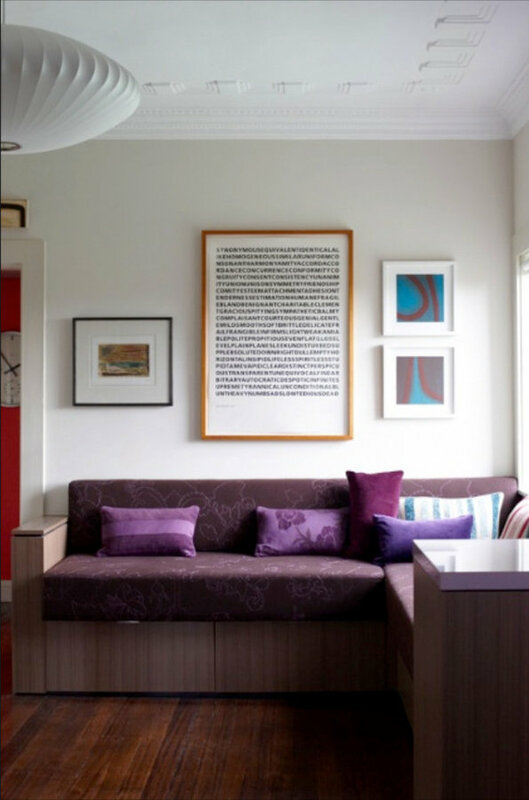 Furniture was designed by SWAD and the dining table when not docked under the linear credenza can be moved over to the banquette for dining/entertaining. 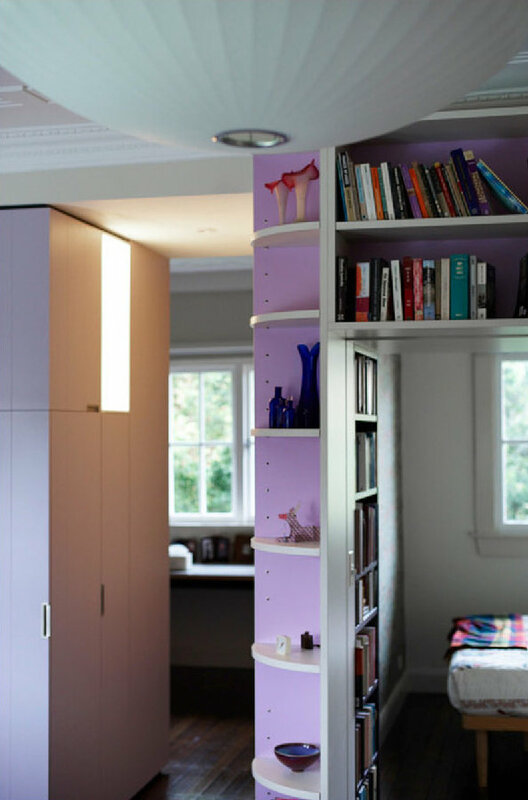 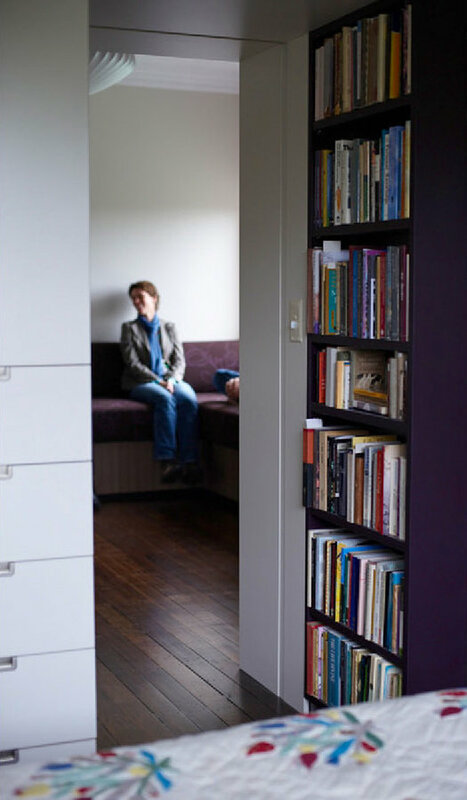 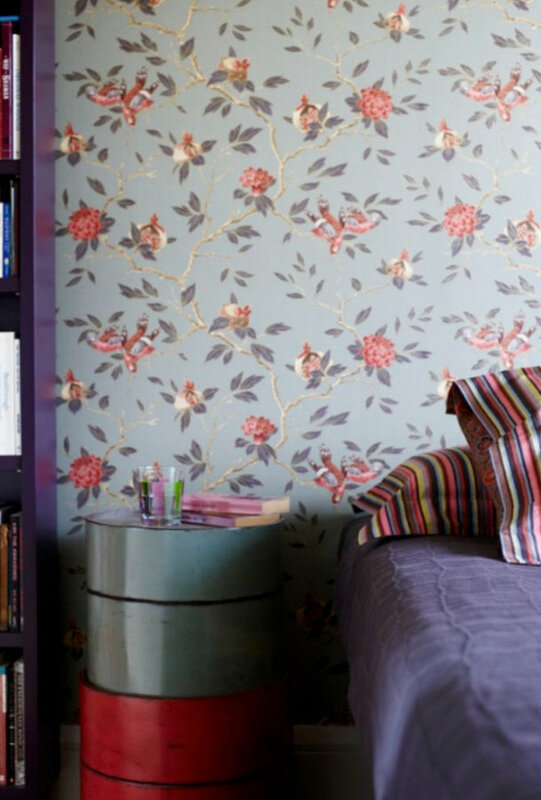 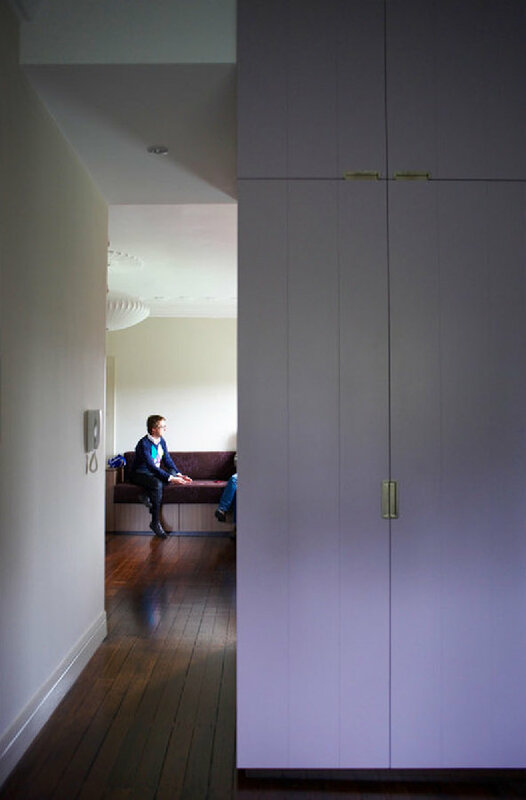 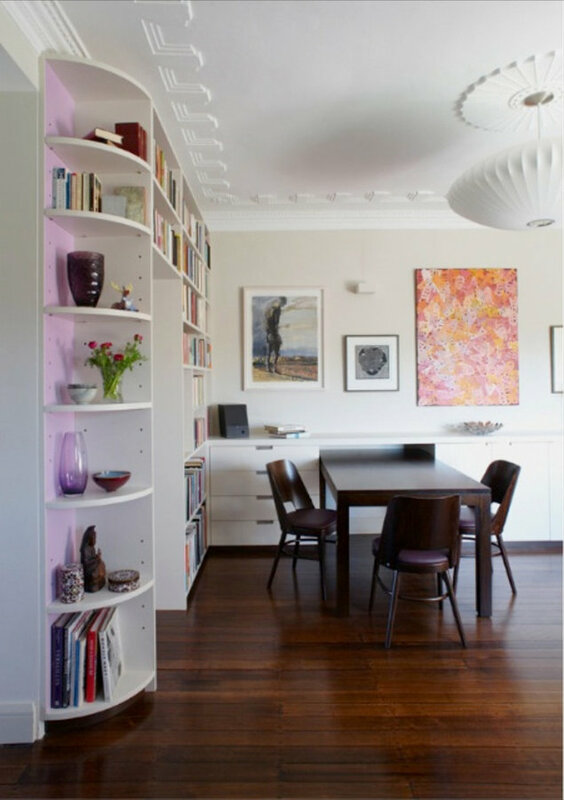 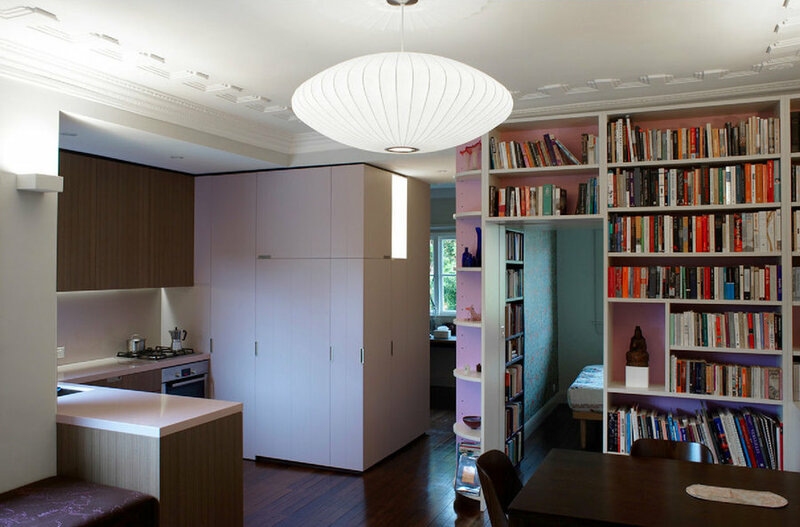 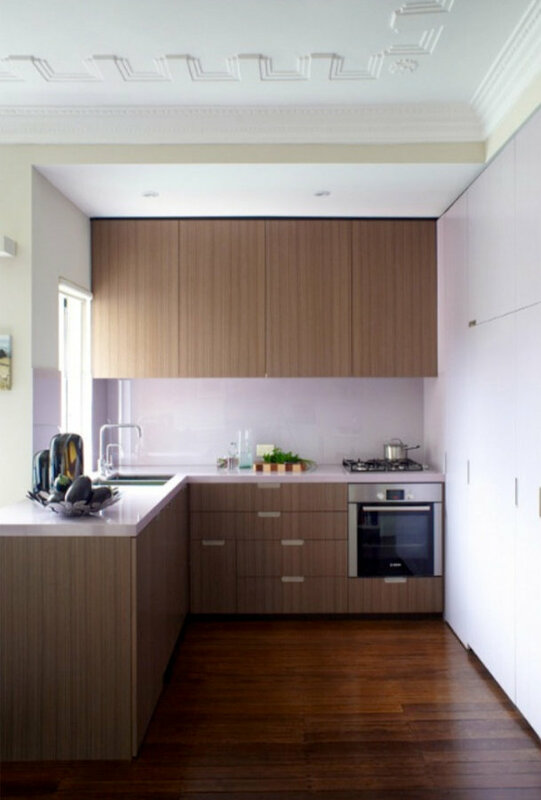 The Client's favourite colours were concealed within joinery and expressed as one unifying dusty lilac component that formed the common link throughout the open plan spaces.